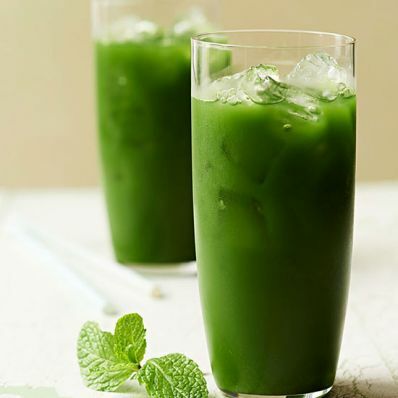 1 of 1 In a blender, combine 11/2 cups cold water, 1 cup frozen kale, 11/2 cored and roughly chopped green apples, 2 stalks roughly chopped celery, 1/4 cup fresh parsley, 2 tbsp fresh mint and 2 tbsp lemon juice. Blend until smooth and pour through a fine mesh strainer. Serve over ice.